Product prices and availability are accurate as of 2019-04-07 15:51:30 EDT and are subject to change. Any price and availability information displayed on http://www.amazon.com/ at the time of purchase will apply to the purchase of this product. Non-lock (M): Press the A button remote control, the corresponding relay A pick up, After release, relay A disconnected. The remote control for anti-theft alarm, remote control electric windows, signal control, industrial control, lifting equipment, Electrical control circuit, etc. 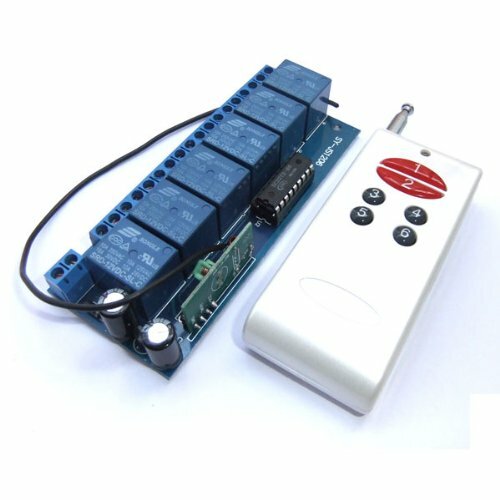 Remote control switch module relay contact Independent output, Very suitable for direct control of various types of load; Wireless remote control with fixed code coding technology, No direction, switches without disturbing each other. 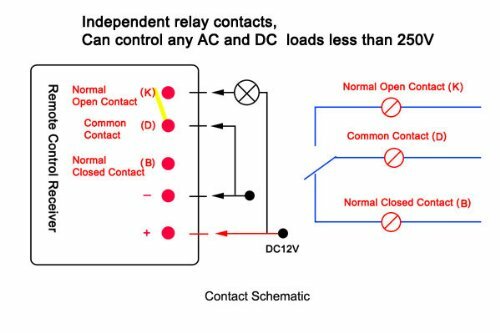 Each Receiver can withstand 10A maximum current, Direct drive AC loads, each with a set of relays are normally open (normally closed) contacts. 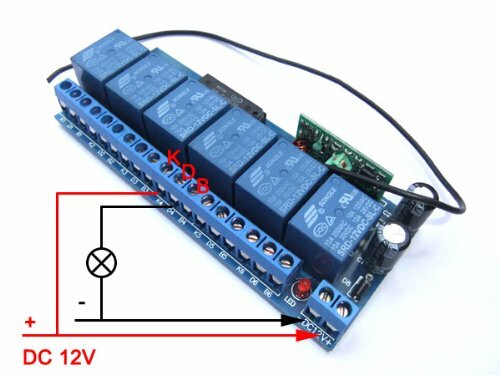 To extend the life of Receiver is not recommended to control the big power load, the proposed control of power per channel at 1000W (resistive load); 600W (inductive load); 400W (motor load) below.